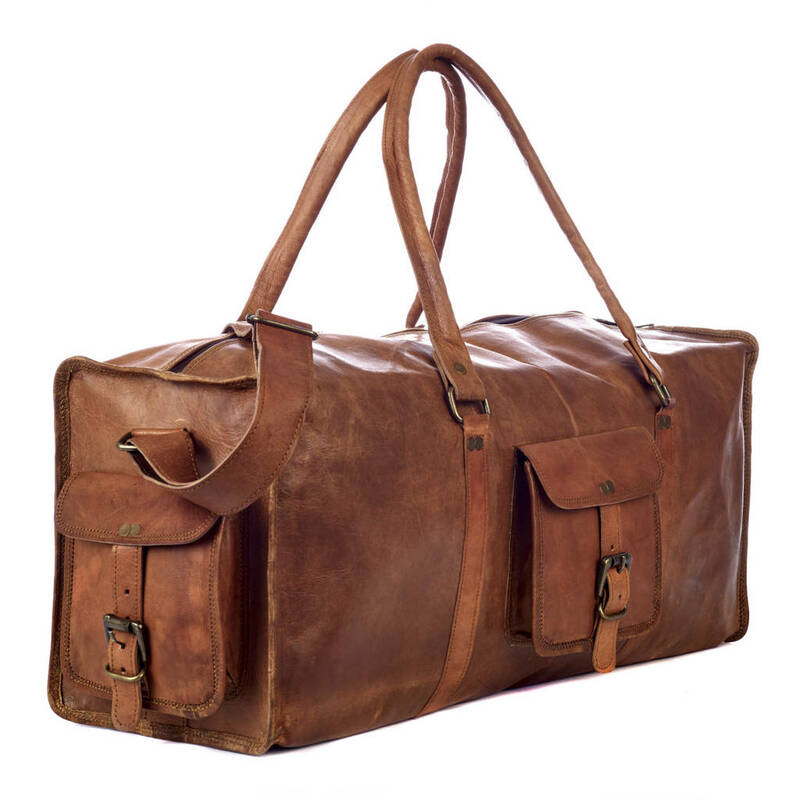 A stylish and practical travel bag with vintage appeal for weekends away or simply when you need to carry a lot of stuff! These personalised travel bags are available in two sizes and have a wide adjustable shoulder strap and padded handles for comfortable carrying. The outside of each bag has three useful pockets with satchel-inspired buckle fastenings. 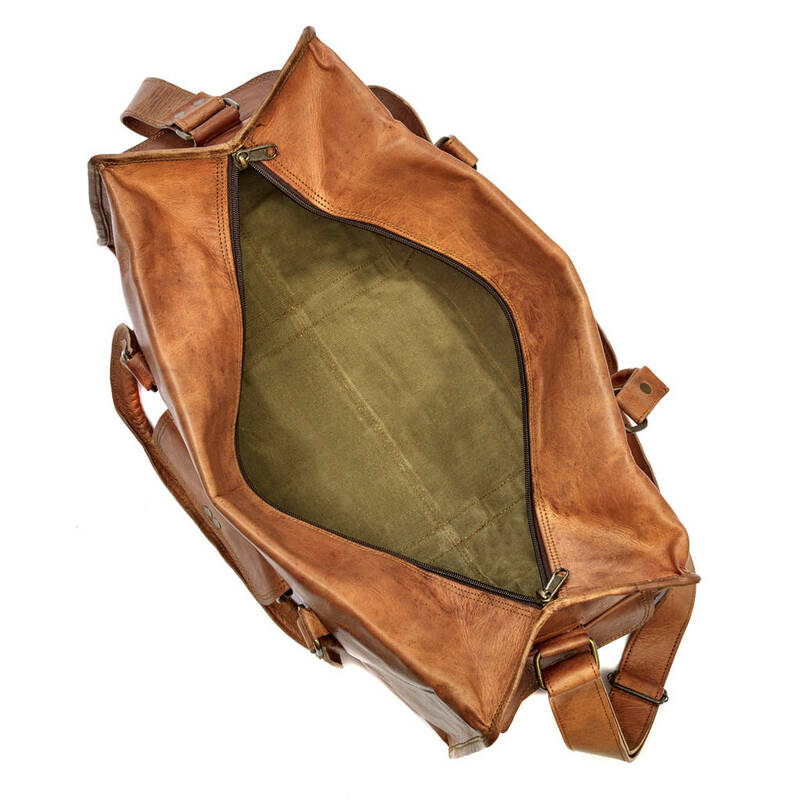 The inside is lined with green canvas and gives plenty of room for all you need to carry. 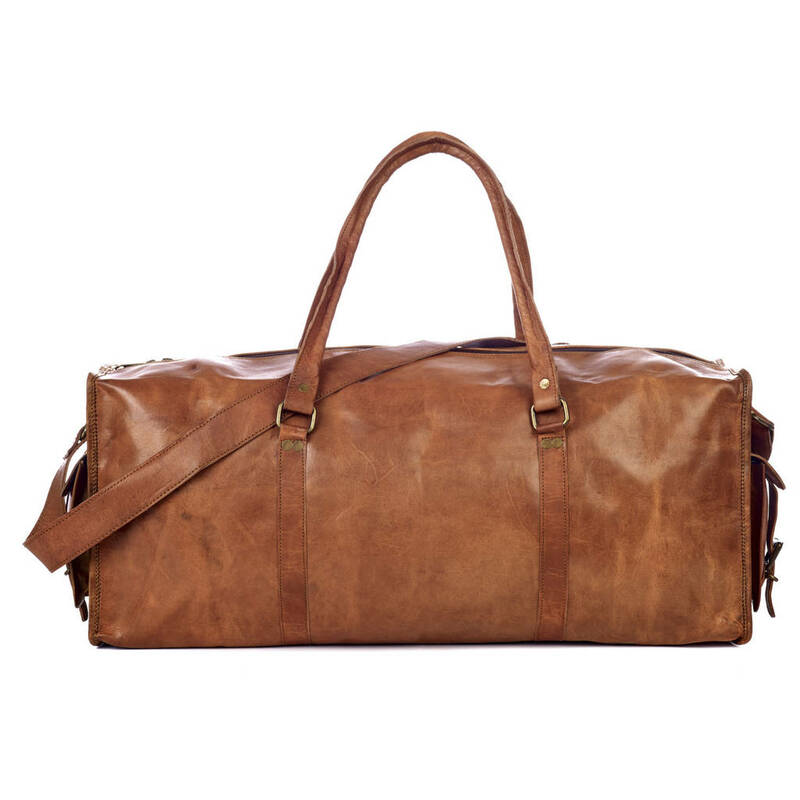 A perfect men's leather holdall that would make a great gift for the stylish traveller in your life. 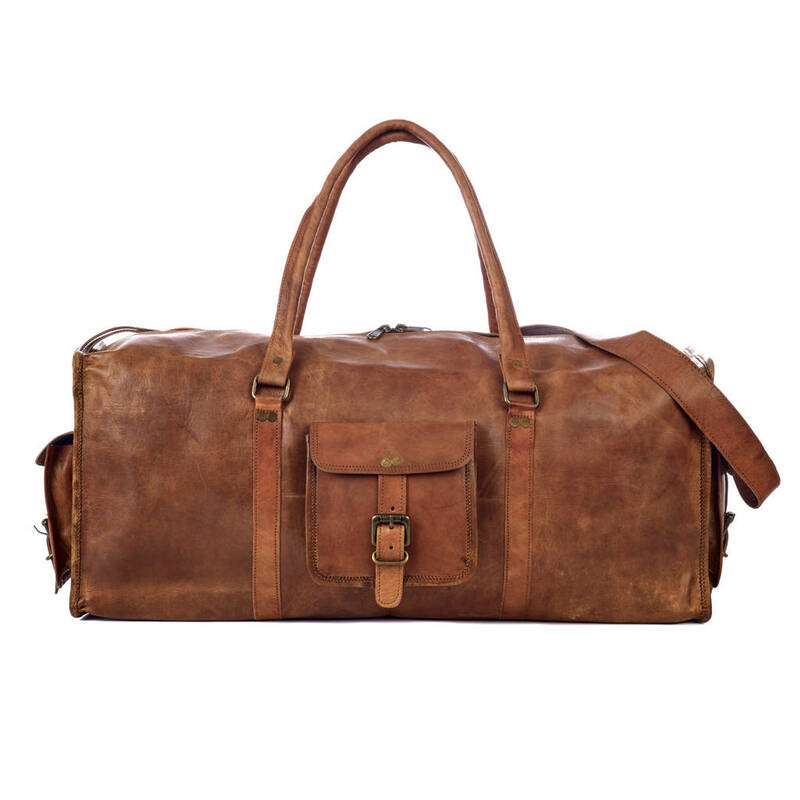 The leather is protected with natural oils to give it a lovely rich finish and make it hard-wearing. Our leather bags are intended to get even better with age, the leather will soften and the bumps and knocks they will get, add more character. 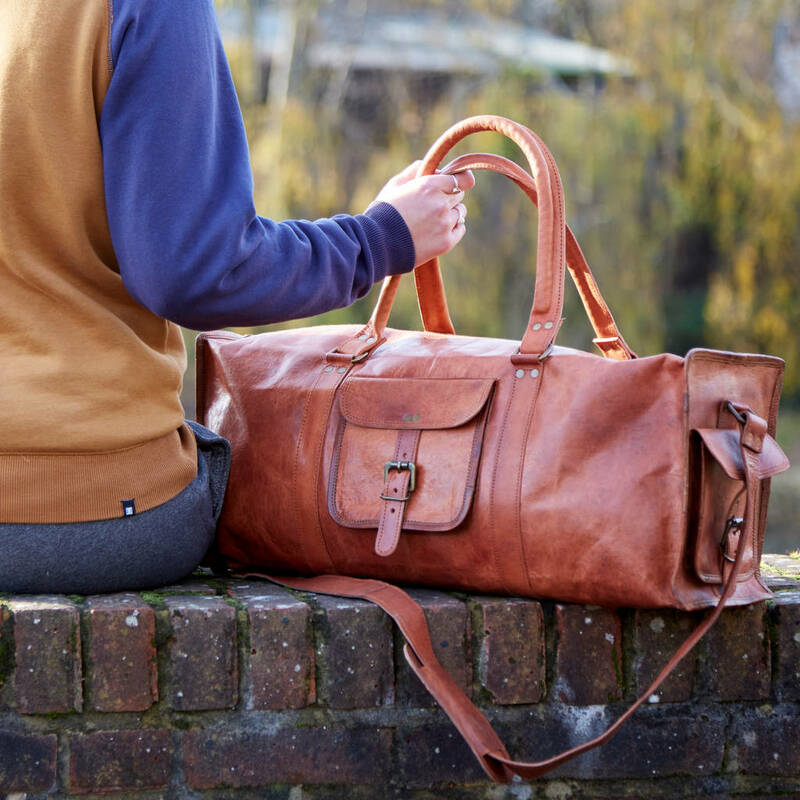 We love a bag that can tell a story of its travels! We offer a personalisation option either on the front of the bag or on the strap. Choose 1 to 7 characters for your text. 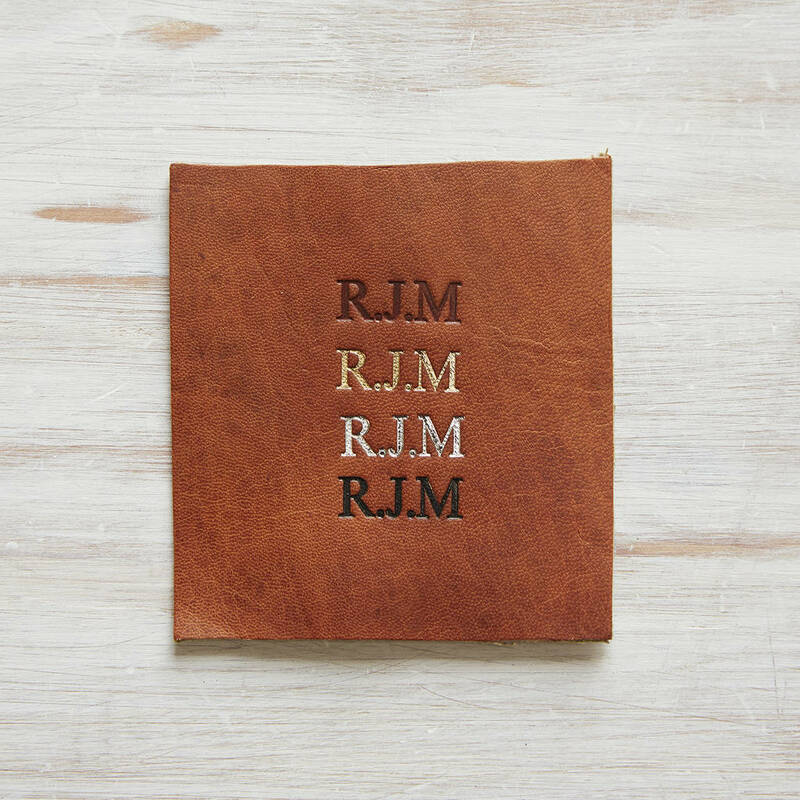 Available in either gold, silver, black or blind debossed (no colour imprint). We currently only offer one font as pictured. 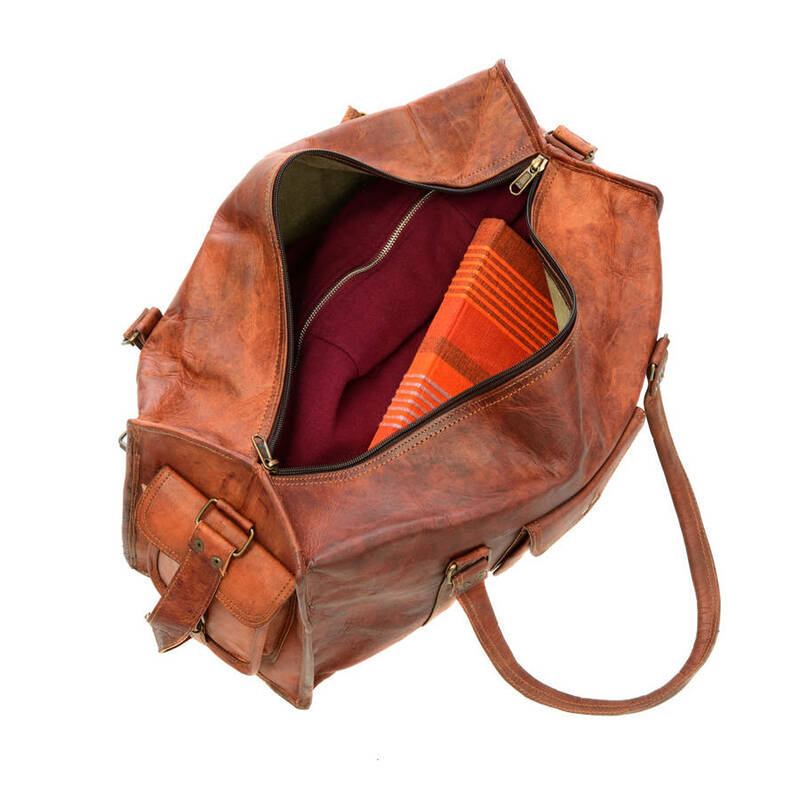 Our leather bags are handmade from genuine goat leather from the desert state of Rajasthan in India. 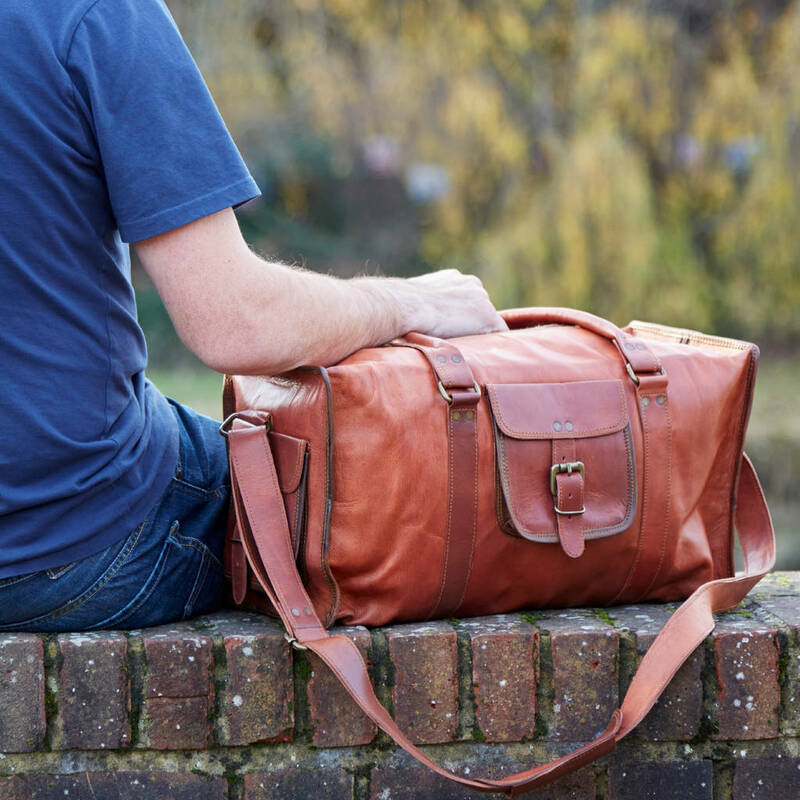 Using real leather means that you may find creases, small marks or blemishes on the bags. As the bags are all handmade and use real leather, there may also be some slight differences in colour from the bag shown. 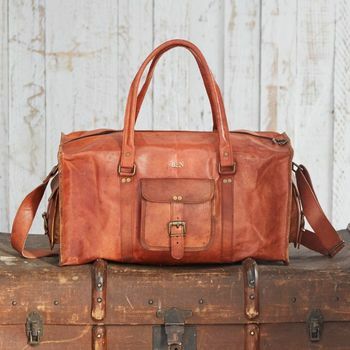 This is the natural character of leather and we really like the unique quality it gives to each bag. Don't worry, we wouldn't send you a bag that we wouldn't love to own ourselves. This product is dispatched to you by Paper High.